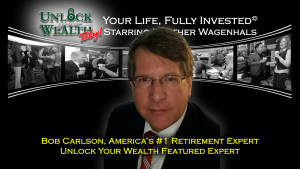 BOB CARLSON has earned the reputation as “America’s #1 Retirement Expert” over his 25+ year career offering retirement, estate and financial planning advice. He holds both a J.D. and M.S. from the University of Virginia, as well as a B.S. from Clemson. In addition, Bob currently serves as Chairman of the Board of Trustees for one of the nation’s largest retirement plans ($2.8 billion in assets). Bob edits Retirement Watch – his monthly advisory – and its companion video service, Retirement Watch Spotlight Series.